Obituary for Sammie Lee Davis, Sr.
Funeral Services for Mr. Sammie L. Davis, Sr. will be held on Saturday December 23, 2017 at 11:00 AM at the Wilkinson County High School Auditorium. Rev. Willie Batts will officiate. Interment will follow at the Brundage Mt. Baptist Church Cemetery. 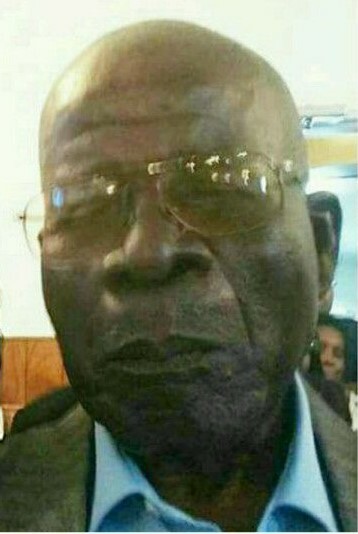 Sammie Lee Davis Sr. affectionally known to many as “June Bug, 86, of Milledgeville, Georgia, transitioned to be with the Lord on December 14, 2017 at the Medical Center of Macon, Georgia. June Bug as he was fondly called, was born in McIntyre, Georgia on November 16, 1931 to the late Samuel L. and Myrtle Coats-Davis. He was one of five siblings, three of whom preceded him in death: Charlie L. Mapp, Ada Mae Todd, and Hollis Davis. He was educated in the public schools of Wilkinson County and at an early age accepted Christ as his personal savior and was connected to the Brundage Mt. Baptist Church, where he was a faithful member until he was called from labor to reward. As a young man, he was blessed with many talents and gifts that made him a well-known athlete, musician, singer, photographer and popular staple within the mine-quarter community and beyond the Wilkinson County circuit. He was also well spoken, gifted with a humorous dialogue and possessed the ability to make anyone feel at home in his presence. In laymen terms, he had the “gift of gab” and because of his genuine concern for humanity, he touched many young people in this community, by his leadership with the local Boy Scouts, the community youth baseball and softball leagues and via other athletic venues. He was also actively involved in teaching baseball for many years and was a dedicated member of the Boy and Cub Scouts in Wilkinson County. This is a testament to the fact that his first priority was truly to be a positive role model for his children and others in the community. At a very early age, June Bug married Doris Esther Shinholster; they were married for a number of years and to this union, they were blessed with six children. On May 22, 1987, he united in holy matrimony to Mrs. Lula Veal Powell and became a stepfather to four children, two of whom preceded him in death: Andre Powell and Rufus Powell III. Faith, integrity and a strong work ethic are success oriented attributes that all men aspire to achieve. June Bug espoused all of these traits, which manifested themselves in his family life, his professional career and in all of his extra-curricular activities. June Bug leaves to cherish his memory a beloved wife, Mrs. Lula Davis of Milledgeville; three daughters, Ms. Debra D. Miles of Milledgeville, Dr. Irma J. Gibson of Leesburg and Mrs. Nichole (Rico) McLin of Atlanta; seven sons: Mr. Roy L. Davis of Milledgeville, Mr. Roger L. (Charlotte) Davis of McIntyre, LTC. Retired Sammie L. (Zelda) Davis Jr. of Waldorf, MD., Mr. Mack M. Hicks of Sandersville, Mr. Ralph B. (Yolanda) Davis of Atlanta, Mr. Tavalas Robinson of Stockbridge and Mr. Antonio (Amelia) Powell of Gordon. Sisters: Ms. Agnes Shinholster of Akron, Ohio and Ms. Justine Sims of Brooklyn, NY. Sisters-in-law: Mrs. Rose Michelle (Derrick) Wilcher, Mrs. Lenora (Willie) Ashley, Mrs. Shirley Shy and Miss Queen Veal, all of Gordon; Mrs. Dorothy (Reginald) Whipple, Mrs. Diane (Columbus) Brown, all of Warner Robins; Mrs. Essie (MC) Carswell of Macon, Mrs. Gladys Wilson of Milledgeville and Ms. Cora Phelps of Irwinton. Brothers-in-law: Deacon William (Ernestine) Sanders, Elder Charlie Sanders, Mr. Roger (Ann) Sanders, Mr. Major (Tonie) Veal and Mr. Charles Veal all of Gordon; Mr. Edward (Wonseretta) Veal, Mr. Johnny (Virginia) Sanders and Mr. Leroy (Kim) Veal all of Macon; Mr. Leo (Bonnie) Veal JR. and Deacon Allen (Mary) Veal of Milledgeville; Mr. Vernon (Linda) Sanders, Mr. Elbert Eugene Shinholster, Mr. James Shinholster and Mr. Nathaniel (Jackie) Shinholster all of Irwinton. Mr. Eddie L. Shinholster of Gordon. Thirty-Three grandchildren (two preceded him in death), seventeen great grands, one great great grand, a devoted Goddaughter, Ms. Dianne Zachary of McIntyre and a host of nieces, nephews, other relatives and friends. Family will receive friends on Thursday December 21, and Friday December 22 at the home of Mr. Tony (Amelia) Powell at 161 Main Street, Gordon. Viewing will be held on Friday December 22 from 11-7 PM at the funeral home. Wilkinson County Memorial Chapel, Irwinton has charge of arrangements.